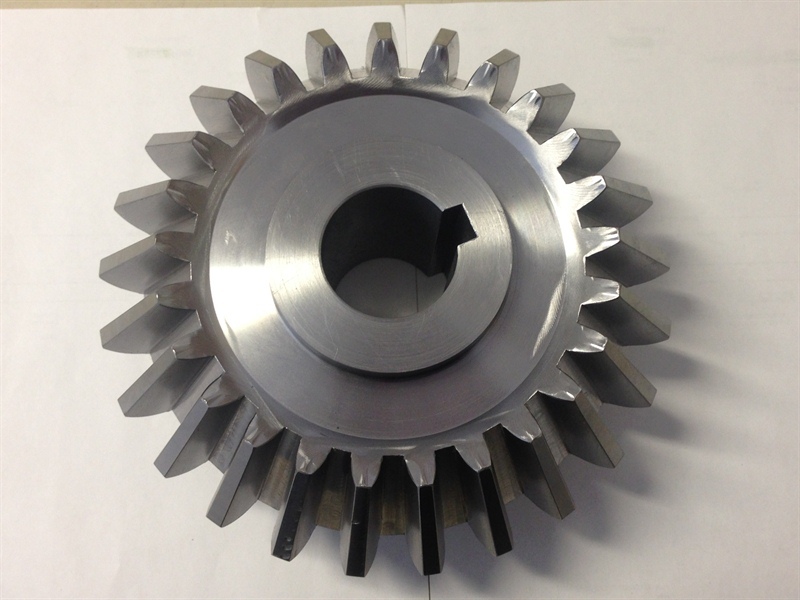 This bevel gear was manufactured by Northern Machining on our milling machine. It is made out of 1018 material and is about 9 inches in diameter. Our team reverse engineered this piece and drew a solid model in our Autodesk Inventor Software for the client. We then programmed the piece as a 3D milling operation using Edgecam Software.